Known all over Matheran for its luxurious décor and exemplary service, Royal Hotel Matheran is no doubt benchmark for refined comfort. It provides best accommodation option in Matheran for the tourists as well as business travelers from India and all parts of the world. 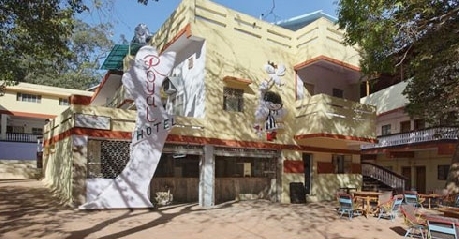 Although a two star hotel, this accommodation offers modern facilities at pocket friendly rates. For the people who are in love with the nature, the verandahs of the rooms overlook the beautiful valleys, mountain peaks and exotic flora and fauna. Located within a short distance from the main Bazaar, Railway Station and other tourist destinations in the city, the Royal Hotel offers good connectivity to all the guests. The hotel understands that all work and no play makes Jack a dull boy and hence, there are a variety of indoor and outdoor play options to occupy the young people and the ones who are young at heart. 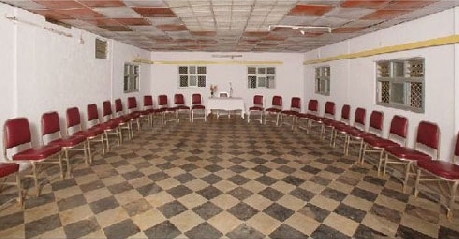 Also, the guests who have business on their mind can easily organize meetings, presentations and other corporate programs at the conference hall that occupies for 60 people. The hotel is also a perfect place for celebrations and social get together. Three open terraces are available to organize marriages, buffet dinners and parties in grand style. Looking for an accommodation in Matheran without compromising on the comfort? The Deluxe Rooms at Royal Hotel provide this and much more to the esteemed guests and that too at affordable pricing. The rooms are designed in a unique manner which strike a perfect balance between the practical amenities and comfort living. They have been provided with some of the best amenities and facilities to make your trip memorable in many ways. 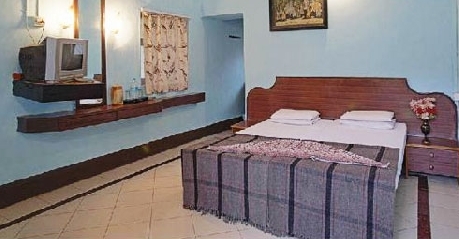 They include television with satellite channels, telephone facility with direct dialing STD and ISD option, availability of running hot and cold water, comfortable bed to accommodate two adults, attached bathroom with running hot and cold water, daily housekeeping, laundry on request and round the clock room service etc. 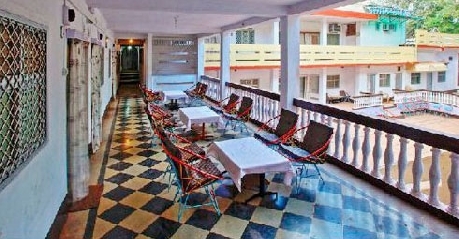 The AC Rooms at Royal Hotel provide luxurious stay option in the city. Centrally fitted air conditioner within room temperature control along with state of the art amenities makes your stay as lavish and comfortable as possible. These rooms come fitted with satellite television, direct dial telephone facility, round the clock room service, daily housekeeping, laundry service, attached bathroom, running cold and hot water supply, comfortable double bed, and more. They are elegantly decorated with tasteful furnishings and traditional artifact etc. 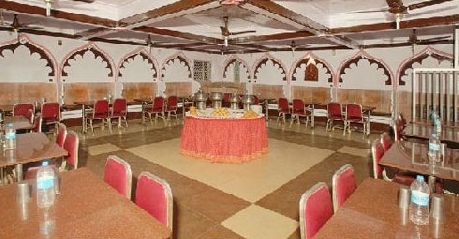 Royal Hotel offers clean, hygienic and tasty vegetarian fare for its esteemed guests at its Dining Hall. The experienced cooks churn out lavish cuisines using the traditional recipes and perfect flavors. The ambiance is just perfect and you can experience the closeness to nature at its best. The in house restaurant offers simple yet elegant interiors which retains the old world charm. Overall the food quality is perfect and when combined with the traditional services of the hotel staff, it provides a wonderful dining experience to the guests.